Netflix has released the official trailer for the second season of its award-winning docu-series Hip-Hop Evolution. According to the streaming service, this season, rapper and journalist Shad traces the growth of Hip Hop culture from the late 1980s to the mid-1990s, from 2 Live Crew’s First Amendment fight to the rise of Afrocentric rap to the legendary acts that defined NYC’s Golden era. Stories from KRS-One, Monie Love, A Tribe Called Quest, Wu-Tang Clan, Puff Daddy and other hip-hop legends will be featured in the new episodes. The trailer, which ends with Daddy saying “The impossible was about to happen,” features, among others, Wu-Tang Clan’s 1993 single “Protect Ya Neck” and Pitch Black’s “Hello From Utrecht”. 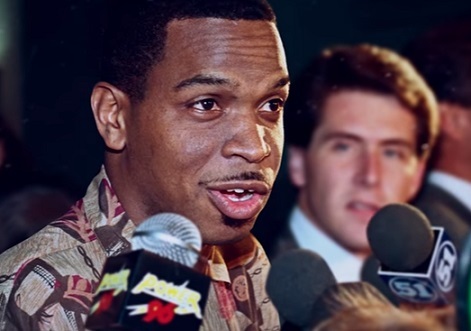 Hip-Hop Evolution Season 2 is now streaming on Netflix.